"On October 28, 2008, just days before the election of Barack Obama, the first African American President of the United States, my first son Chase was born. On July 9, 2012, a few months before President Obama's historic re-election, my second son Amari was born. Six months later, a few days before February 2013, I began to reflect on my sons and their promising future – specifically the opportunities they could pursue as a result of the progress and achievements made by individuals past and present. 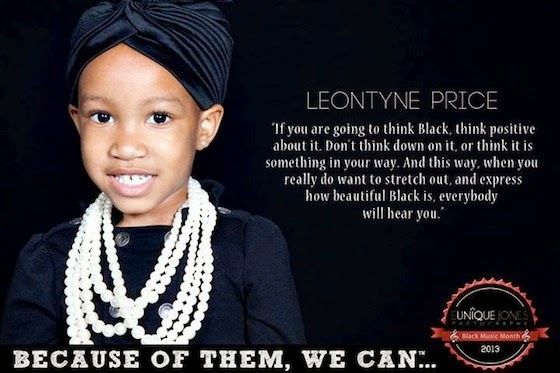 I also thought about the responsibility and at times the fear, I carry as a mother raising Black boys. I thought about how just one-year prior, Trayvon Martin was murdered. The murder and circumstances surrounding Trayvon's death awakened my consciousness and moved me to create the 'I Am Trayvon Martin' photo campaign. It was through this painful time for the Martin family and America that I came to realize that my lens could truly serve as a microphone that could amplify the feelings, fears, dreams and even the pain of a community. The Because of Them, We Can campaign was birthed out of my desire to share our rich history and promising future through images that would refute stereotypes and build the esteem of our children. While I originally intended to publish the campaign photos, via social media, during Black History Month, I quickly realized how necessary it was to go further. With so many achievers to highlight, and thousands of children to engage and inspire, 28 days wasn't enough. On the last day of February, with just 28 photographs in my collection, I decided to resign from my job in order to continue the campaign. On March 1, 2013, after most national and local conversations about Black History and Achievement ended, I released a photo of a mini-inspired Phyllis Wheatley and began the journey to continue the project for a full year. A year later I have come to the conclusion that even 365 days aren't enough. What began as a mother's passion project quickly evolved into a movement. Today we are committed as ever before to encourage and empower people of all ages and hues to dream out loud and reimagine themselves as greater than they are, simply by connecting the dots between the past, the present and the future." 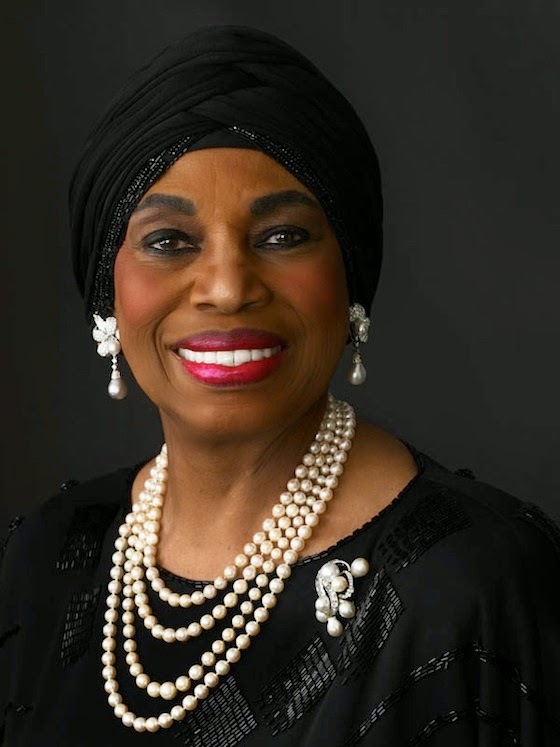 [Source] Watch a video for the campaign and see the original Leontyne Price photo that inspired the above poster image, after the jump.